UC Cooperative Extension will host a field day at the USDA-ARS Spence research farm to show a field trial evaluating water use in drip irrigated celery. This is an opportunity to see first- hand the effect of water management on celery growth. We will discuss using weather data for scheduling irrigations using the CropManage online tool, water application monitoring using flowmeters, soil moisture monitoring using tensiometers, and the feasibility of improving irrigation scheduling using satellite-based tools. This is a joint project among UC Cooperative Extension, CSU Monterey Bay, NASA-Ames, and the USDA-ARS. The project is funded through the USDA-Specialty Crop Grant Program, administered through CDFA. Cooperators include Dole Fresh Vegetables, Inc., and Wilbur Ellis. 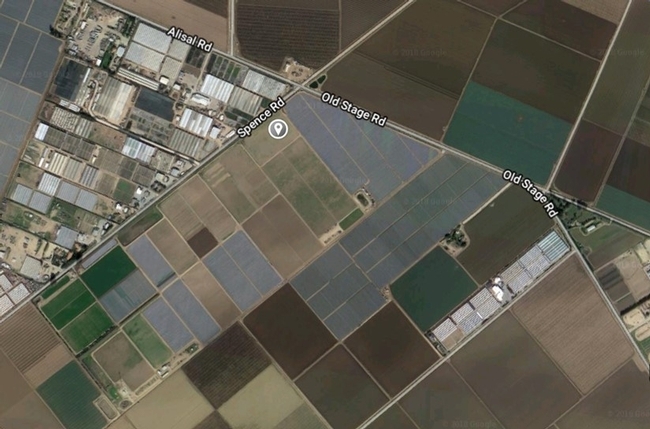 Location: The trial is located in a field adjacent to Spence Rd. Enter the ranch from the west side of Old Stage Rd. Turn right at the water reservoir and drive to the end of the road.